We are so excited to invite you to join us in our efforts to support the L. David Shear Children’s Law Center of Bay Area Legal Services, Inc. as they help children in our community. This group of attorneys, social workers, and staff provide legal representation for children ages 5 and under and their older siblings. Those involved in a child abuse, neglect or abandonment case receive free legal representation- except the most important ones affected- the children. The CLC makes sure the children are not lost in the system by providing tailored legal advocacy and minimizing emotional harm by stabilizing the child’s environment, and much more. 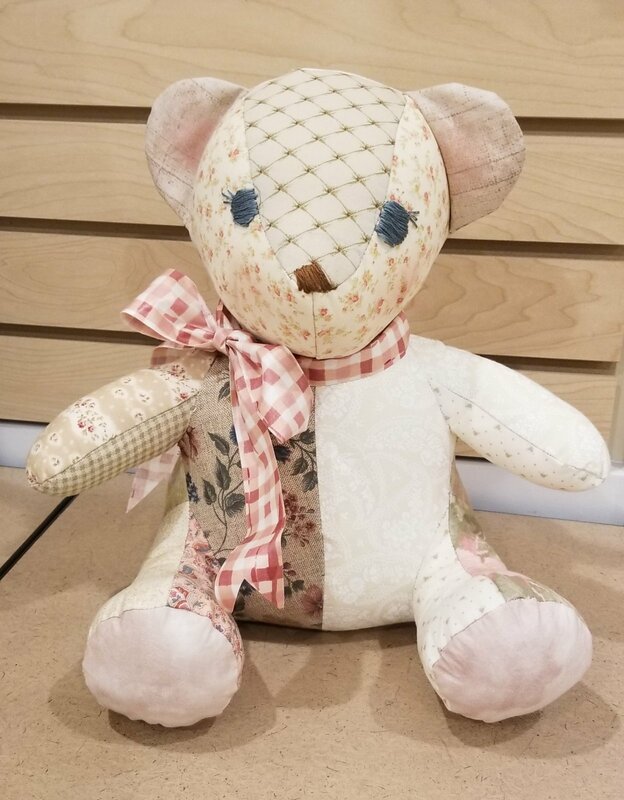 The Sewing Center will be helping by making stuffed animals and toy “families” to aid the social workers in making a smooth, warm approach to interact with the kids in a stressful situation. Please join us February 23 from 3pm-7pm as we craft these lovable bears to be the first contact with a child in trouble. We will be marking, cutting, stitching, stuffing and sewing these beautiful little bears with lots of love! Bring your sewing machine and basic sewing notions to work with. Fabric or scrap donations for the bears will be greatly appreciated! Cotton, denim or flannels only please- no fur, fleece or minky.